When it comes to space, you never realize how much you need it until you don’t have enough of it. Especially in a vehicle. We bet there have been times when you’ve wished you had more, and have felt limited to certain activities, because, let’s be honest, a sedan just doesn’t cut it when you’re moving or going on a road trip. In those instances, and others, it’s helpful to have a vehicle that is big enough to haul a bunch of cargo, powerful enough to tow a trailer and efficient enough to save you some time and money at the gas pump. Enter, ladies and gentlemen, the Toyota Highlander. The 2015 Toyota Highlander is an exceptional vehicle in terms of efficiency, space and power, which makes it quite the catch because it is also extremely affordable, making it the perfect vehicle for any size family. When comparing the 2015 Toyota Highlander vs 2015 Honda Pilot, the Highlander reigns supreme in almost every way, from affordability to fuel economy and standard and available features. 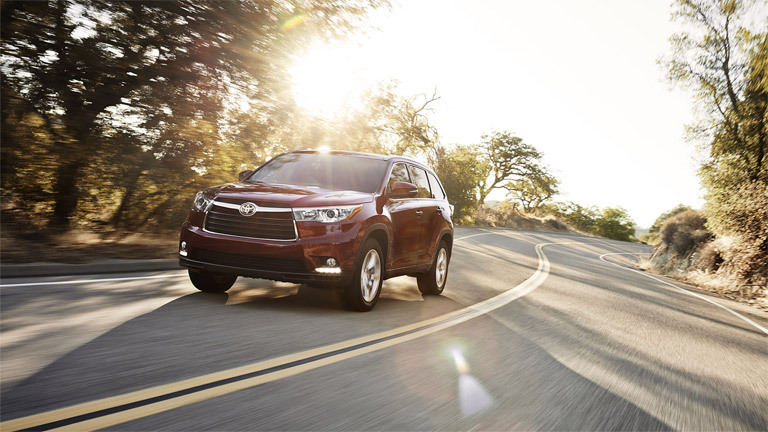 The 2015 Toyota Highlander is also more spacious for passengers than the Pilot with extra leg, hip and head room. The Highlander is the superior full-size SUV in almost every day. Compare it for yourself in person today at Attrell Toyota! The Highlander has always been a fan-favorite when it comes to a full-size sedan because of its versatility and affordability. We love the Highlander, and not only because of the fun Muppets ads, but because it is such an overall great vehicle. The 2015 Toyota Highlander Brampton ON comes standard with a 3.5L V6 engine that makes 270 horsepower and 248 lb.-ft. of torque. The six-speed automatic transmission makes for an impeccably smooth ride no matter what terrain you are tackling. It also has a maximum seating capacity of 8, which is more than helpful for those times when you have unexpected guests. Some of the fun features that come with the 2015 Toyota Highlander Brampton ON include an easy-loading liftgate, comfortable, soft-touch interior materials, an available panoramic moonroof, a hands-free microphone system to more easily relay information between first and third row passengers, an available blind spot monitoring system and more. See all that the 2015 Highlander can do today at Attrell Toyota!